This family-friendly Krabi resort is located near the beach, within 1 mi (2 km) of Ao Nang Krabi Boxing Stadium and Ao Nang Beach. Phra Nang Beach is 3 mi (4.8 km) away. Along with a full-service spa, this resort has a restaurant and an outdoor pool. Free WiFi in public areas and free self parking are also provided. Other amenities include 2 bars/lounges, a fitness center, and a poolside bar. All 104 rooms feature thoughtful touches like bathrobes and slippers, along with conveniences such as refrigerators and coffee makers. Free WiFi and balconies are standard, as are LCD TVs with satellite channels. 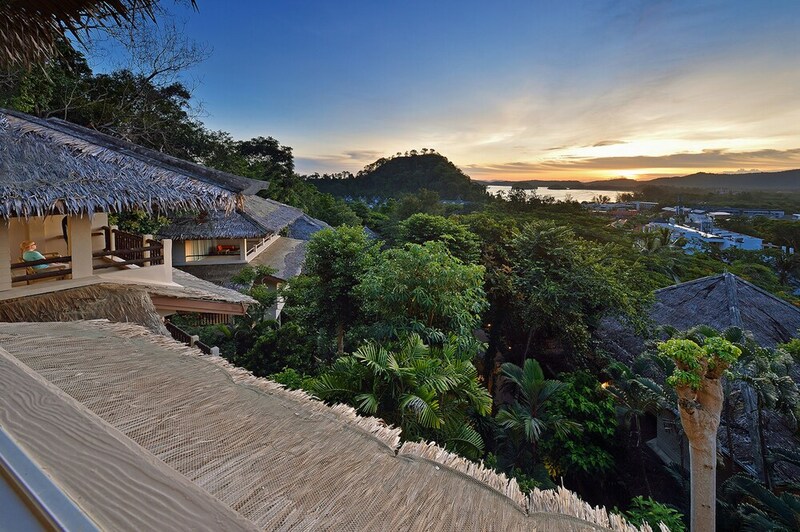 In addition to a full-service spa, Pakasai Resort features an outdoor pool and a spa tub. The resort offers a restaurant and a coffee shop/café. Guests can unwind with a drink at one of the resort's bars, which include 2 bars/lounges and a poolside bar. A computer station is located on site and wireless Internet access is complimentary. Event facilities measuring 775 square feet (72 square meters) include conference space. This family-friendly resort also offers a children's pool, a fitness center, and a sauna. For a surcharge, a roundtrip airport shuttle (available 24 hours) is offered to guests. Complimentary self parking is available on site. Pakasai Resort has designated areas for smoking. Dalah Restaurant - This restaurant specializes in international cuisine and serves breakfast, lunch, and dinner. Guests can enjoy drinks at the bar. Open daily. Tree top Cafe - This Cafe serves brunch, lunch, and dinner. Happy hour is offered. Open daily. Adora Spa has 3 treatment rooms. Services include facials and body treatments. The spa is equipped with a spa tub. A variety of treatment therapies are provided, including aromatherapy. This hotel's New Year's Eve Gala Dinner is optional, and a fee will be charged onsite to guests wishing to attend. Please contact the property for more information, and to make reservations, using the information on the reservation confirmation received after booking. This property’s “Chalet Suite” room type is accessible only via steep climb from the main building. Elevators are not available. For more details, please contact the property using the information on the reservation confirmation received after booking. This property offers transfers from the airport (surcharges may apply). Guests must contact the property with arrival details before travel, using the contact information on the booking confirmation. Reservations are required for massage services and spa treatments. Reservations can be made by contacting the resort prior to arrival, using the contact information on the booking confirmation.